Arugula and turnip greens are very rich in calcium and thus super beneficial for your bones and teeth. Blend up cherimoyas, zucchini and greens until smooth. Pour your smoothie into a bowl and decorate it with a sliced up banana. 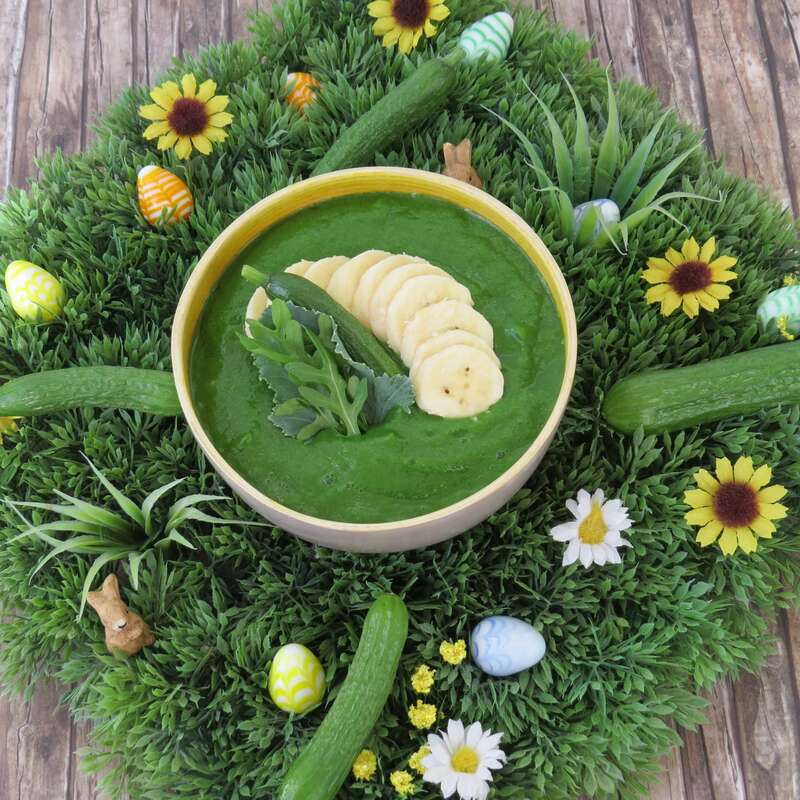 Enjoy your green deliciousness with a spoon and chew it well!